He was the perfect man for her but she was born far too late. Alec Bristol (born Archibald Leech) died of a stroke when he was 82 years old. Throughout his entire film career, he was the quintessential leading man, suave, debonair, charming. He had first melted Chelsea’s heart at the Anza Classic Movie Theatre when she was only twelve-years-old. When she was twenty-two, she visited his grave at the Pierce Brothers Westwood Village Memorial Park near UCLA. He’d been dead longer than she’d been alive. It didn’t seem fair. Most schoolgirl crushes fade with time, but for Chelsea, her’s only seemed to intensify. She had seen every film he’d ever made dozens of times, even those when he appeared only in minor roles. She collected photos, memorabilia, news stories, magazine articles. Her bedroom at home and then later her Seal Beach condo became a shine to the famed romantic lead. Chelsea Davenport worked as a software developer for Boss Me Gaming in Orange, an up and coming producer of virtual first person shooter apps, but that’s not how she thought of herself. She wrote code to pay the bills. She wove mystic and arcane energies to explore the sides of existence most people thought were only fantasy. It was an inherited trait. Her mother and grandmother had both called themselves witches. The term was grossly misunderstood and always had been. In certain families throughout the ages, the females passed on a unique gene pair that resulted in a subtle difference in brain structure and chemistry. It might show up on an MRI or in specific tests on their spinal fluid, but the medical technology to detect these anomalies was a very recent development and the existence of women like Chelsea could be traced back thousands of years. In past ages, if discovered, women like her were burned or pressed under enormous weights. 4,000 years ago, her kind was crushed under elephants in Southeast Asia. As a result, and with the advent of digital technology, women like her tended to refrain from exercising their talents. Oh sure, there were local and national conventions, but most of the attendees were fakes or wannabees. The real gatherings were never advertised openly and certainly on the internet, not even the so-called dark web. They had other ways to talk with one another, and when their small groups came together every so many years, no one who wasn’t a “belonger” was ever aware of the event. A bit of hair, a piece of clothing, a fingernail clipping, an old autograph, these were all she had to work with. Well, she had Grandma’s Book too, the one that was supposed to have been burned when she died. Her mother hid it instead but never used it. Mom thought of it as a family heirloom but she was smart enough to realize that “The Comprehensive Tome of Necromancy,” whose author (or authors) had (have) long passed from memory, was too powerful and dangerous to ever open let alone use. Mom died last Spring. Dad had deserted her and Mom when Chelsea was only five so she was alone. The book was supposed to be burned with her Mother. How ironic. Burn a witch after she’s dead and it’s called cremation. However she had inherited Mom’s rebellious streak along with her abilities and instead, kept the Book for herself. She never intended to use it, just like Mom, or at least that’s what she generally believed. In the back of her mind though, she nurtured an idea, a wish, a dream. Old Grandpa stayed in Chelsea’s spare bedroom. He was 82 years old but not in bad shape, well he’d be in better shape eventually. She helped the old man sit up in bed. The old man was compliant and took in a spoonful. He winced a bit. She smiled more to herself than to him. It was going to work. She could feel it. Grandpa was in his mid-70s when she took him for walks by the beach in the afternoon. This was a week after he first woke up in her apartment with no memory of how he had gotten there. She could leave him for short periods to go to the store or run other errands, but except for their walks, she didn’t want him to get out too much yet. He was getting stronger. Soon they could do more together. The next week, he was a dashing man in this early 60s, just like he appeared in Father Goose. 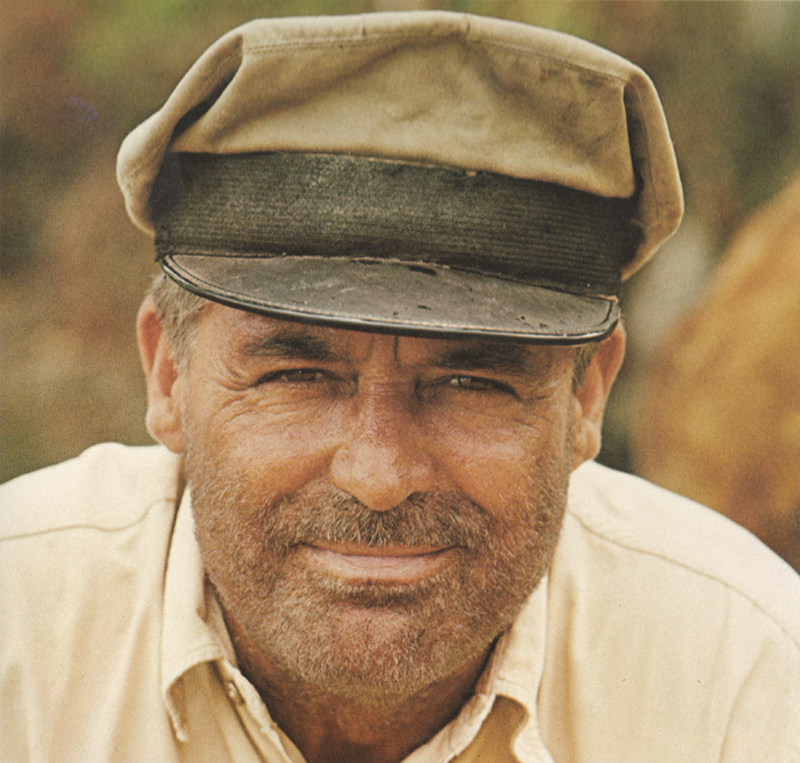 Cary Grant in the 1964 film “Father Goose”. “How’s it going, Pops?” Chelsea greeted him as she opened the door to her apartment. She’d just gotten off of work and knew he was feeling neglected. Now that he was in his mid-50s, he had plenty of energy and just couldn’t sit around cooped up in her place all day long. In the shower she became aware of her own frustration. It had been weeks and weeks and he was getting younger all the time. She thought of him, how handsome he was, he was every bit the gentleman she’d fallen in love with on the silver screen. They could have a “May-September” relationship. She shouldn’t have to wait any longer. The sound of her moans surprised her and she realized she was masturbating. She quickly stopped. If he heard what would he think? No, she’d wait. He was worth the wait. Alec was astonishingly handsome. The pin-stripe suit was just like the one he’d worn in Suspicion. Tonight, they were going into Los Angeles. The Russian Grand Ballet was performing “Swan Lake” at the Wilshire Ebell Theatre. Chelsea had a certain amount of control over who Alec thought he was and what he remembered, which she kept rather vague. He’d gone from Grandpa to Pops to Dad to…Alec. He was less than twenty years older than she was now, a dashing figure, a larger-than-life cinematic lead from an era long past. They went out a lot, practically every night. A few people even commented how much he looked like the actor Alec Bristol, especially since Chelsea insisted on dressing him in clothing from the ’30s and ’40s. He didn’t mind that he seemed dressed out-of-step with the times and actually said it made him feel at home. That night he finally fell in love with her too. They made love until dawn. Alec spent his days reading and going for walks. She bought him a membership at a local gym so he could work out. He also liked to spend time in the public library. He tended to keep to himself, not really understanding most people around him. He refused to accept the iPhone she got for him. Although he was getting younger everyday, he still thought and acted like someone who was in his prime 50, 60, or 70 years ago. He hated television and preferred the theatre, ballet, and opera. He didn’t have specific memories of his previous life, but his personality, everything that made him Alec Bristol was alive and well within his reanimated, rejuvenated body. Chelsea hadn’t anticipated that the younger he became, the faster the reverse aging process accellerated. They went to bed together last night as he just crossed the threshold from is early thirties to his late twenties. It was a Friday night, so she’d get to sleep in and cuddle in the morning before getting up. She woke up with a start. That sound. Someone screaming. A high-pitched voice. Alec? No, it couldn’t be. Voice is all wrong. She was astonished…horrified. It had gone too far, much too far. It was Alec standing in front of the mirror wearing only his quaint old-fashioned pajama bottoms. Tears were streaming down his cheeks. His mouth was gaping wide. He was running his fingers through thick, luxurious hair. He couldn’t have been more than fourteen-years-old. The Book. The damned Book. Tragically, she finally realized that maybe she wasn’t any smarter or more skilled than Mom and Grandma. What had she done? He remembered at least some of it, but he was also losing memory. “Sister?” No longer a lover. She was at least ten years his senior. More now. She could see him actually getting shorter, younger, less defined. No more than twelve now. Wait, maybe closer to ten. Then he was gone. She couldn’t stop it. He had been a baby, a newborn wailing, taking his first living breath which was also his last. Cheslea curled up on the floor around his now empty pajamas and cried all morning long. She was alone again. She would always be alone. I wrote this for the Simply Marquessa Friday Writing Challenge. The idea is to use a specific song lyric as the inspiration for crafting a short story. The song lyric for November 9th is “God knows I never meant to hurt you…I never meant take it that far…” You can learn more about the challenge and the lyric at #MarquessaChallenge – “Hurt You” #fictionfriday #music #prompt. Unlike probably most people who respond to this particular writing challenge, I didn’t listen to Toni Braxton’s “Babyface – Hurt You” chart or watch the video. I prefer to let the words speak to me and to develop the story out of them. Also unlike most folks including Marquessa, I don’t tend to write romantic tales. Oh sure, there was romance, of an obsessive type, in today’s story, but there was also great tragedy and loss. I can’t say the idea of rejuvenation gone wrong is a new one, and I’ve probably read a number of tales about a person getting younger and younger to the point of non-existence, but it seemed to fit the prompt. Cheslea had never meant to hurt Alec. She wanted to bring him back to life, to return his vitality and youth to him. However, it was for wholly selfish reasons using a type of magic that is forbidden, and with predictable results. 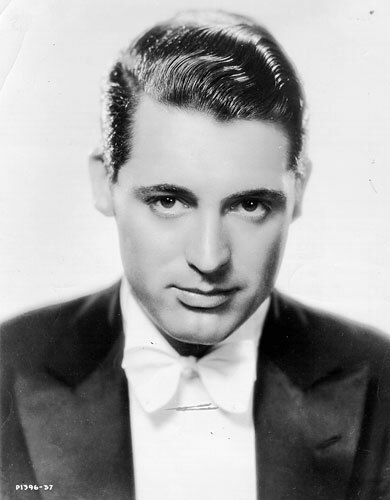 I styled Alec after the famous Cary Grant (born Archibald Alec Leach on 18 January 1904). I used the actual titles for some of his films in the body of my story as a way of tracking his age and appearance as I was writing. He’s always been one of my favorite actors and a person who, once gone, will never be replaced. He represents a time when not only physical handsomeness and talent, but grace, poise, and style was part of why we idolized Hollywood. 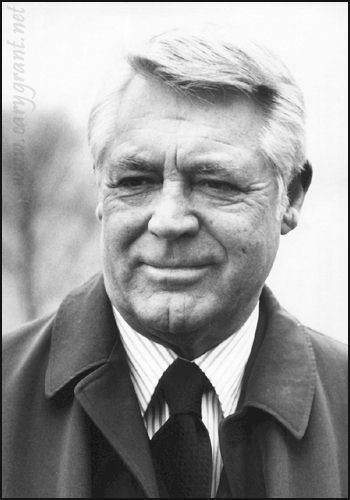 Grant died unexpectedly of a stroke on 29 November 1986 and to this day, he is sorely missed. He was cremated and his ashes scattered across different parts of California, so he has no specific burial site. I hope I haven’t disrespected his memory, his family, or his fans by casting him in one last role in my small drama. Oh my god this was terrifying. First Chelsea becomes obsessed with an ideal, then I thought she wanted a relationship with her actual grandfather, then I realised she was the one who tried to rejuvenate him. Yikes. And acting on someone without telling them what you’re doing or planning to do? Not cool, but it definitely made Chelsea interesting. I enjoyed this story a lot though! Leading the reader (or is it just me?) on was smart, not to mention the ending was tragic and… Chelsea sort of deserved it, honestly. I didn’t want to give too much away, so I left the transition somewhat vague as far as her reanimating and rejuvenating Alec, effectively bringing him back from the dead. Yes, poor Chelsea lost sight of reality in the face of bringing her fantasy to life and both she and Alec paid a terrible price. What she did wasn’t cool but it was very human. Thanks for reading and commenting, TM. I appreciate it. This was absolutely CREEPY and sooo good! I read it several times and got chills each time. It was also wonderful to see some of my favorite actors pictured!!! Well, I only pictured one famous actor and I had to fictionalize his identity to fit the story. Glad the tale creeped you out (but in a good way). That means it was effective at getting my point across. We all need to love and be loved, but when it becomes obsessive (and especially if you’re a witch), it’s not going to turn out well for anyone. For the final few paragraphs of my story, I had to picture my grandchildren and how I feel about them, and particularly if I had to say good-bye to them as they were dying. It was hard to write and it’s still hard for me to read.